Bridge Rail Foundation is a nonprofit organization originally dedicated to ending suicides on the Golden Gate Bridge. We learned a great deal during that effort and now help others in communities with public facilities that are suicide sites. This website has information on our work—our successes, challenges, and what we have learned. The bad news is that suicide continues to be a problem on other bridges in the United States and around the world. It is also a problem on other tall, publicly accessible structures such as hotels, as well as some train crossings, subway stations, and freeway overpasses. The good news is that safety netting will be installed soon under the Golden Gate Bridge. Netting is one of two physical deterrent systems that have proven to be effective in preventing suicides at jump sites. The other proven method is to raise the existing railing to eight feet or more so that it is difficult to climb over. 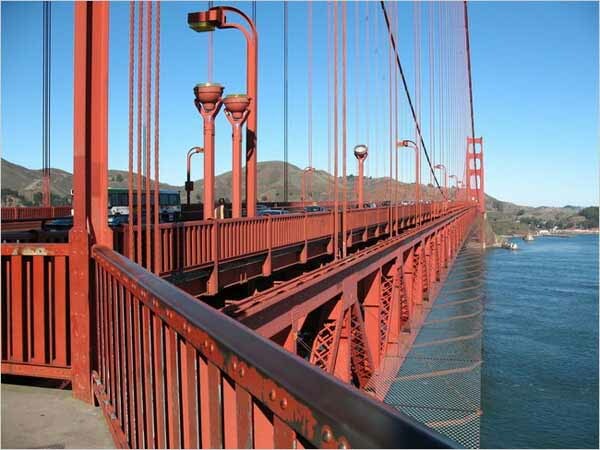 Because of our work on the Golden Gate Bridge, we have developed unique expertise in the education and advocacy needed to prevent suicides on public structures in general, and bridges in particular. We offer our help, encouragement, advice, and support to communities that have suicide sites in their midst and are eager to make them safe for all.